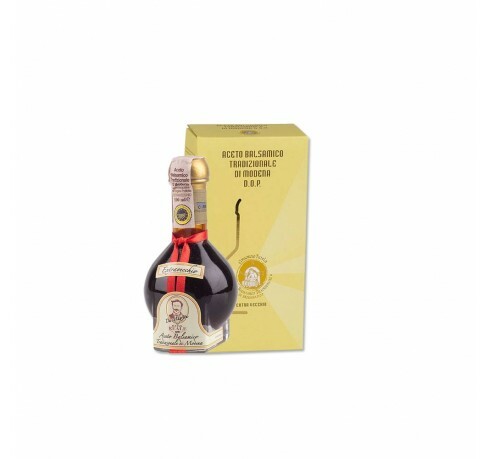 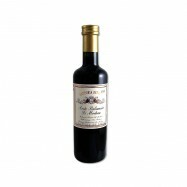 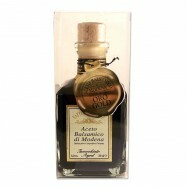 This unparalleled balsamic vinegar of Modena is artisanally produced under the strict DOP guidelines of the Modena Consortium. It bears the "Extra Vecchio" (extra old) gold label that guarantees aging for a minimum of 25 years in wooden casks. 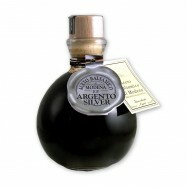 It then turns into a prized nectar you can drizzle over strawberries or Parmigiano-Reggiano. 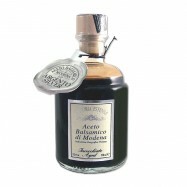 Comes in an elegant box that makes a sumptuous gift.